Ryan Parker is back in the Land of the Free Gift with Purchase, but a family situation has kept him from posting his thoughts on Life of Pi. I also have some thoughts, so here is a first ever, two-part, side-by-side review from your PopTheology co-editors. Life of Pi is the most recent film (and one of the best to do so in a long time) that gets at my love of film, religion, and the relationship between the two. Like many characters in the film, my response to the film about Pi’s story says as much about me as it does the film. The film tells the harrowing story of a boy’s, Piscine (Pi) Patel’s, lost-at-sea survival on a lifeboat with only a Bengal tiger as his companion. Directed by Ang Lee, it is a magical adaptation that is every bit as captivating and awe-inspiring as Yann Martel’s original novel—perhaps more so. Lee wields his digital effects in service of the story; nothing ever feels gratuitous or distracting. The creation and use of the tiger alone surely merits a making-of documentary on its own. The film’s cuts back and forth between past and present happen seamlessly and the transitions themselves are a thing of beauty. The film is bolstered by fine performances, two for the same character (Suraj Sharma and Irrfan Khan as the younger and older Pi, respectively) which are worthy of Oscar attention (the former for Best Actor and the latter for Best Supporting Actor). When was the last time two actors were nominated for playing the same character…The Godfather 2? For the non- or anti-religious among us, I submit Life of Pi as exhibit A in religion’s favor. Growing up in an extremely fertile religious environment in India, Pi is drawn to the pantheon of gods in Hinduism, the puzzling sacrificial love of God for humanity in Christianity, and the language and ritual practices of Islam. His father, an extreme rationalist, attempts to derail Pi’s religious journey or to at least force him on a more singular path. He fails to see that, for Pi, God transcends any single faith and exists outside the bounds of human reason. Pi shows us that faith doesn’t have to be a zero sum game. This religious diversity will no doubt trouble particular viewers of all faiths…or those of none at all. I found Pi’s perspective of God…or the work of God…somewhat troubling. 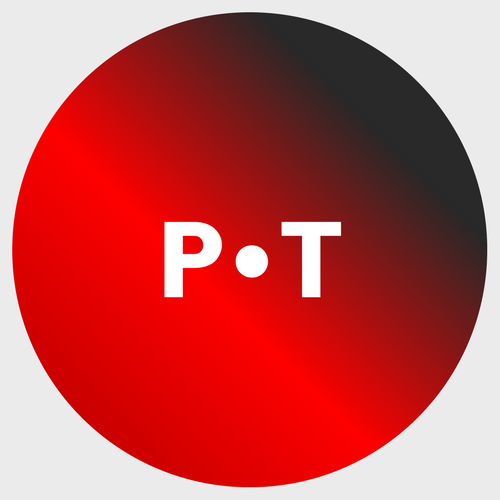 Lost at sea, tossed about by violent storms, and left alone with a violent beast for company, Pi often views his situation as God punishing or testing him. Here, God is both tormentor and savior. While God does challenge us, I fear that this way of viewing an event that also resulted in the deaths of dozens of other people as a way in which God tempers Pi’s faith to be deeply simplistic and troubling. Like Pi, surely God mourns the loss of the rest of his family along with him. In recent months, I’ve also given thought to the importance of stories and the ways in which stories told to us (and those we tell ourselves) shape our experiences in the world…and of God. This is the central thesis, so to speak, of Life of Pi. At heart, religions are stories, and the stories we “buy into” often say as much or more about us as they do about the Divine. Like many Christians can do, Pi presents the competing versions of his survival, one that is more violent than the other. We too vacilate between images of a violent God and a God of unconditional love and peace. Which one we “choose” certainly gives insight into our own hopes, fears, and ways of viewing the world. 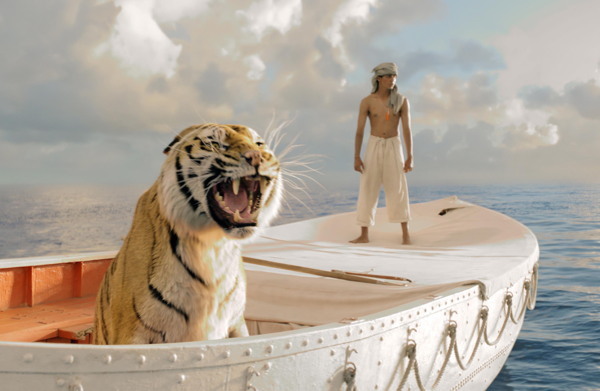 There’s a scene in The Life of Pi where Pi Patel, the Indian boy who has been stranded on a lifeboat with a full-grown tiger named Richard Parker, has lost all his survival supplies after a storm, is sunburned, starving and dehydrated. He looks into the tiger’s eyes, his nemesis and friend, and says, “We are dying, Richard Parker.” He lifts up a prayer to God and says he is ready to accept whatever will happen to him during or after his death. The scene was inevitable from the moment Pi ended up on that boat. What is it about faith that leads us to this moment, this dark night when the soul is stripped bare and all pretense of human control has been lost? A valley that must be crossed again and again in the course of one’s life, until it is crossed one last time at death. We are dying, Richard Parker; Eloi, Eloi, Lamma Sabachthani. In the frame story of the film, Pi Patel is shown as an adult, telling the story of his shipwreck survival to a Canadian author, a story Patel’s uncle has said will make the author believe in God. The film itself probably leads to more questions about God than to answers, but does so beautifully and wondrously, through the always-understated direction of Ang Lee and the magnificent visual effects of Bill Westenhofer. The film is set up to be read as a fable. One look at the beautiful cover of Yann Martel’s original book tells you most of what you need to know about the story: a boy and a tiger are stranded on a boat. From there, it leaves the audience sieving the animals and characters out of each scene attempting to discern their symbolic meaning. For me, the tiger represents the human shadow and the difficulty of growing up. When I was Pi’s age, I found myself storm-tossed with conflicting emotions I couldn’t handle, sexuality I didn’t understand, and the horrible realization of my own adult human agency, which had the capacity for great good or great evil. So it is with the human shadow—it must be wooed and trained, sometimes with a firm hand, sometimes with affection. What seems at first a monster trapped inside our psyche begins to take on an element of beauty and even reminds us of its place in our own survival. As for God and the question of chosen narratives, I have continued to be challenged by the thought that human need for narrative points toward divine influence. Our grand narratives may be more diverse now than they were during eras of “Christendom” or “Modernity,” but we continue to seek them out. The human need for mythmaking may in fact point to a Maker who is not a myth.